Radial Drilling Machine Suppliers - Inquiry Now! We, Siddhapura Enterprise, are recognized as a trusted Radial Drilling Machine Manufacturer, Exporter and Supplier. To cater to the diverse requirements of the clients, the range of Radial Drilling Machine, we offer, includes Geared Radial Drilling Machine, Universal Radial Drilling Machine, and Heavy Duty All Geared Radial Drilling Machine. We offer these Industrial Radial Drilling Machine in varied specifications to cater to the diverse drilling requirements of the clients. 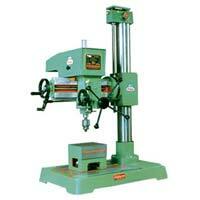 The clients can avail the precision-made Radial Drilling Machine from us at very economical price.